I'm often asked about the best tankless water heaters on the market, and it's a hard question to answer. When you say "best," do you mean the most powerful or the most affordable? Do you want something that can be installed indoors or outdoors? How much are you willing to pay for a low-NOx system? Most importantly of all, what brand do you want? Not all brands are created equal. Within that, not all products from the same brand are created equal, either. If you're serious about finding the right tankless water heater for you, you'll need to closely examine all possible options until you discover one that speaks to your individual needs. Today's comparison shopping will be among Noritz products. I've compiled this list of Noritz tankless water heater reviews so you can compare and contrast between them with ease. Are you ready to find your new tankless water heater? Let's begin. 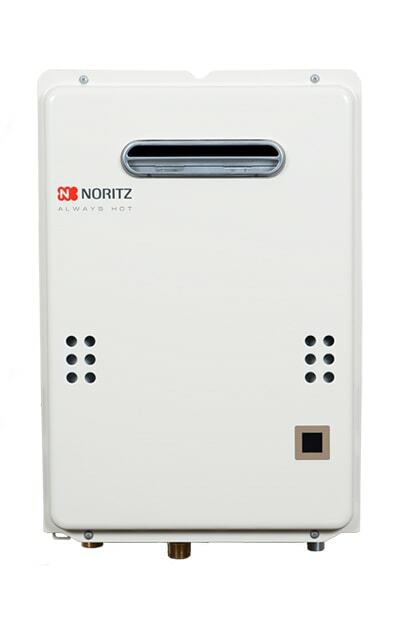 Out of the various Noritz models, our best Noritz tankless water heater award goes to Noritz NRC98-DV-NG. You can read its review below. I have reviewed other Noritz models too that are also a great buy. With an incredible flow rate and an exemplary condensing system, this unit is one of the best Noritz tankless water heaters on the market. Not only will it provide powerful, whole-house coverage, but it will also change the way you look at natural gas heating units. To understand why it's so special, however, you'll first need to understand how natural gas models usually work. The average natural gas tankless water heater is powered through a live flame that warms up internal coils called heat exchangers. Cold water is cycled around the coils, and because they've been warmed by the flame, they warm the water as well. The downside of this heating system is that it emits fumes because of the live flame. It first condenses the fumes, then expels them, reducing their harmful properties to such an extent that the NRC98-DV-NG can actually be installed indoors. Now that's a tankless water heater worth buying! This unit operates a lot like the one above. It has the same flow rate and the same sizes and dimensions, and it's also a condensing unit, so it can be installed indoors as well. The big difference between the NRC98-DV-NG and the NRC98-DVLP is that the latter runs on propane and not methane (natural gas). If you're concerned about environmental emissions and your effect on them as a homeowner, this might be something worth considering. As you can see, it's a strong unit in every sense of the word, and it has a condensing design to boot. If you're looking for whole-house power that doesn't sacrifice safety for strength, the NRC98-DVLP might be exactly what you need. This compact unit is a great choice for smaller homes and apartments. At just 6.7 x 13.8 x 23.6 inches and 38 lbs, it can be installed almost anywhere, including attics, garages and closets with proper ventilation. Its lightweight design also means that it can be wall-mounted to save on floor space.In terms of power, the NRC661-DV-NG offers up to 6.6 GPM depending on how many sinks, showers and faucets you have running at the same time. While this isn't the highestflow rate on the market, I've found that it's more than adequate for homes with only 1-2 bathrooms. It might not be able to handle an entire mansion's hot water demands, but if you just want to take a shower while the washing machine is running, the NRC661-DV-NG has you covered. You might also like the special low-NOx design that Noritz uses on so many of its products. Like the NRC98 series, these units can be installed indoors thanks to their internal condensing systems. This means increased safety for families especially, and it might be worth the slightly greater price if you're also given greater peace of mind. Again, you can't beat these NRC661 models in terms of size. The NRC661-OD-LP is only 7.5 lbs despite being a propane unit! You usually only see these minuscule weights with electric tankless water heaters. The fact that Noritz products can be so powerful and yet so small speaks very well to their internal construction and design. Power-wise, the NRC661-OD-LP is the same as the NRC661-DV-NG. It will give you up to 6.6 GPM depending on how intensely it's used; the more you demand of it, the slower your flow rate. Outdoor temperatures can also affect your unit if it's extremely snowy or icy. Since it's firing up under such cold conditions, it has to work harder to provide the same level of service as a sunny day. Note, too, that I'm speaking exclusively of outdoor installations here. That's because the NRC661-OD-LP must be installed outdoors. It's a tiny unit running on propane instead of methane, so its needs are different than the natural gas unit I discussed above. The fumes of this one will need to be vented in the open air to break them down, so make sure you only install the NRC661-OD-LP as an exterior-mounted unit. 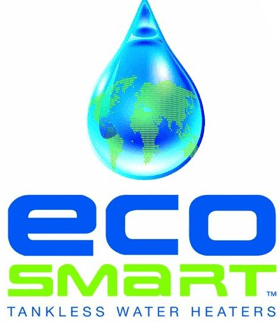 Are you unsure about making the switch from traditional water tanks to tankless water heaters? Are you intrigued by the possibilities but intimidated by the thought of maintenance, installation or simply ripping out your old system by its guts? Well, I have good news for you. The EZTR40-NG is specifically designed as an easy replacement for 30-40 gallon water tanks. 1. Installation is simple. While I always recommend letting a trained technician handle the wires and cords, it wouldn't be too difficult for a newbie with sufficient determination and a knack for DIY. 2. Extras like vent kits and isolation valves are included right in the box. You might need to order other parts depending on how your home is set up, but the very basics will be included with your order. 3. You can use your existing pipes as foundations and conduits for the EZTR40-NG. No messy renovations are required, and no expensive changes need to be made to your current HVAC system. All in all, if you're looking for a painless way to make the switch to tankless water heaters, the Noritz EZTR40-NG is the unit for you. As I often tell my customers, the "EZ" is right in the name. 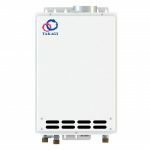 Are you tired of reading about tankless water heaters that can only be installed indoors or only be installed outdoors? Noritz has heard your plea, and they've created a special hybrid unit with their NR981 series that can be installed absolutely anywhere you please. Do you like having your units mounted to an exterior wall for easy venting? You can stick the NR981-SV-LP right on the side of your home. Do you prefer having your units inside to better protect them from the elements? The NR981-SV-LP can be put anywhere with a window. Not only is it a highly flexible, convenient unit, but it will provide 9.8 GPM as well. You may be desensitized to that number while viewing Noritz tankless water heater reviews since so many of them offer the same amount, but rest assured, 9.8 GPM is extremely high. It's three times as high as the average electric unit and twice as high as many other natural gas models. You'll be getting nearly unparalleled power and a unit that can be installed anywhere. Offering the same specs as the above unit but powered by natural gas, the NR981-SV-NG is for people who prefer methane to propane. It's the only real difference between the two tankless water heaters, but rest assured that you'll be getting a great deal no matter which one you choose. For comparison's sake to others on this list, here are the specs you'll enjoy with the NR981-SV-NG. Like many Noritz units, it's also low-NOx, so you won't have to worry about fumes whether you're installing it outside or inside. Just make sure you have a class III venting system and you'll be fine. This is another unit designed for safety. For one, it's meant to be installed outdoors, so there's no chance of diminishing your indoor air quality. Even more importantly, it has that special low-NOx system that so many people take for granted with Noritz units. The greatest thing about the NR981-ODLP, however, is its protection. It comes with everything from flame sensors to overheating prevention devices to make sure the unit never poses a danger to you and your family. I've recommended this model to several customers with young children so they could rest easy knowing that their tankless water heater was incapable of overheating without alerting everyone in the house. It has freeze protection, too, for concerns about the other temperature extreme. Hot or cold, the NR981-ODLP can withstand it. The one downside of all these protective measures is that they do require energy. The NR981-ODLP can demand up to 199,900 BTUs an hour, and that number is pretty high. So you need to ask yourself whether the energy requirements are a worthy trade-off for the increased protection, and then you'll know if the NR981-ODLP is right for you. 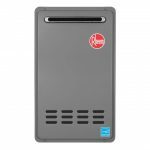 If you don't have a lot of money to pay for a tankless water heater, the NR501-OD-NG is one of the most affordable natural gas units on the market. It will provide enough power for 1-2 bathrooms and do it without requiring a huge investment up front.The one drawback of its affordability is that it only offers 5 GPM, a number that's relatively low for natural gas units. It's a system best suited for apartments, cabins and small homes that don't have extensive hot water demands. This is especially important to note because the NR501-OD-NG can only be installed outdoors, so if it isn't enough to service all of your bathrooms at once, you can't just install another unit in an upstairs closet. You need to make sure that the NR501-OD-NG can serve your entire residence before you buy it. The good news is that installation is easy, and you won't even need a technician to do it. While the Noritz customer service hot line is always available to those who want it, I've never had a customer report problems with their DIY installation efforts. So grab a wrench and go for it! 8.3 GPM is a figure that's slightly smaller than the ones we've most frequently discussed, but it's still incredibly powerful and more than enough for the modern family. Whether you're hoping to warm up the hot tub or just run the washing machine at the same time you're doing the dishes, the NR83-DVC-LP has you covered. Another great thing about this unit is that it can be installed indoors as long as you ventilate it properly. Be prepared during the installation process and you'll find that the NR83-DVC-LP is an excellent whole-house propane unit that will get the job done without a lot of fuss. Another unit with condensing powers, the NRC711-DV-NG is a great choice for families or even individuals who are worried about safety. It will break down harmful fumes right inside the box, so by the time they're passed through the vents and dispelled in the air, they pose no more danger to you than the pilot light on a stove. The one flaw of the NRC711-DV-NG is that it only offers 7.1 GPM, and that's under optimal weather and pressure conditions, so your everyday flow rate is more likely to be around 6-7 GPM. It's enough to handle the morning rush when everyone wants to shower at the same time, but it will probably falter with more than 2-3 appliances at a time. It isn't the tankless water heater you're looking for if you want to fill a tub while also running the dishwasher and sending a full load of laundry through the spin cycle. 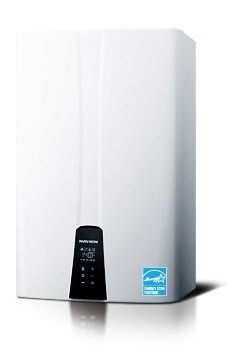 The weather outside is another factor in the efficacy of your tankless water heater. If it's cold, snowy, icy or any combination of the three, your flow capacity will likely fluctuate until conditions stabilize again. When only the highest GPM will do, this is the unit you'll want in your home.The NR111-SV-NG offers a staggering 11.1 GPM, a number that's hard to beat among anytankless water heaters on the market, not just Noritz models. It's enough to service anywhere from 4-6 bathrooms at a time and still have power left over. It's so strong it's almost commercial grade. Even more incredibly, the NR111-SV-NG is lightweight and easy to install. You'd think it would weigh a ton when it's capable of doing so much, but it's still only 44 lbs. It's an indoor model to boot, so you can put it anywhere there's proper ventilation to outside air. The flip side of its incredible power is that it's also incredibly expensive, so be sure to factor that into your final decision. The NR111-SV-NG will certainly pay off in the long term, but you have to afford it in the short term first. When all things are considered, including power, price, functionality, weather readiness and ease of installation, the NRC98-DV-NG is what I'd recommend above all other Noritz products. It isn't flawless, but what unit is? If you're looking for the best Noritz tankless water heaters on the market, the NRC98-DV-NG should make your shortlist. But you don't have to take my word for it: Check it out on Amazon and see for yourself what you've been missing.